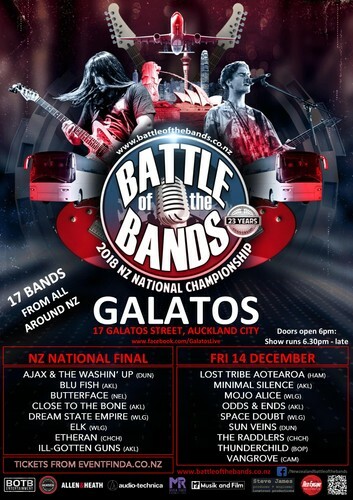 NZ National Final featuring winning bands from all over NZ. Always a big night of NZ Music showcasing the country's best up and coming artists. A rare chance to see some of NZ finest new talent all in one night. Flights to Brisbane and accommodation are included in this prize. Our USA sponsors Musik & Film, global airplay specialists, through their radio promotional division, MUSIK RADIO PROMOTIONS will again be working with us to promote the winning bands single throughout the world.